Meet Mom. This was taken on my wedding day. This is our relationship. Holding hands. Supporting each other. Sometimes you don’t need words. Sometimes you just need someone to hold your hand. 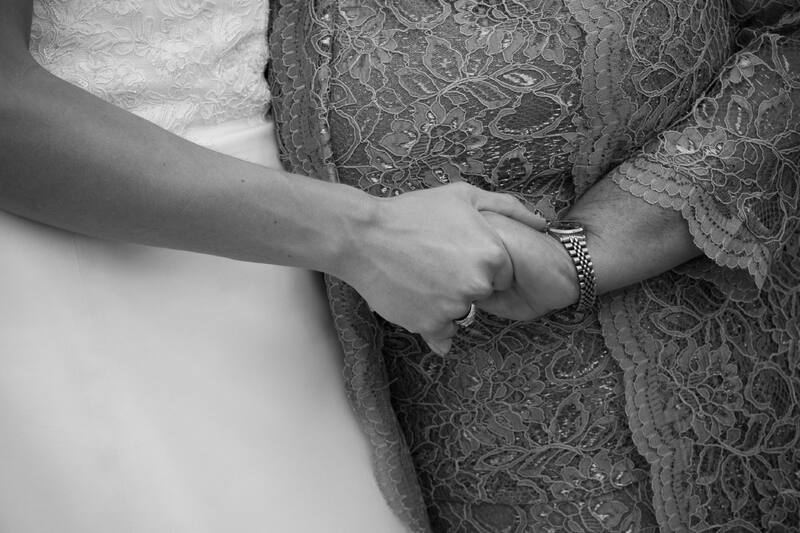 When Mom holds my hand I know everything’s going to be alright and in this moment with a squeeze of a hand that’s what she told me. Now I hold her hand as we navigate the muddy waters of MS. And without words but with the squeeze of my hand I let her know I am here. This entry was posted in Uncategorized and tagged committment, daughter, Multiple Sclerosis by AG. Bookmark the permalink.